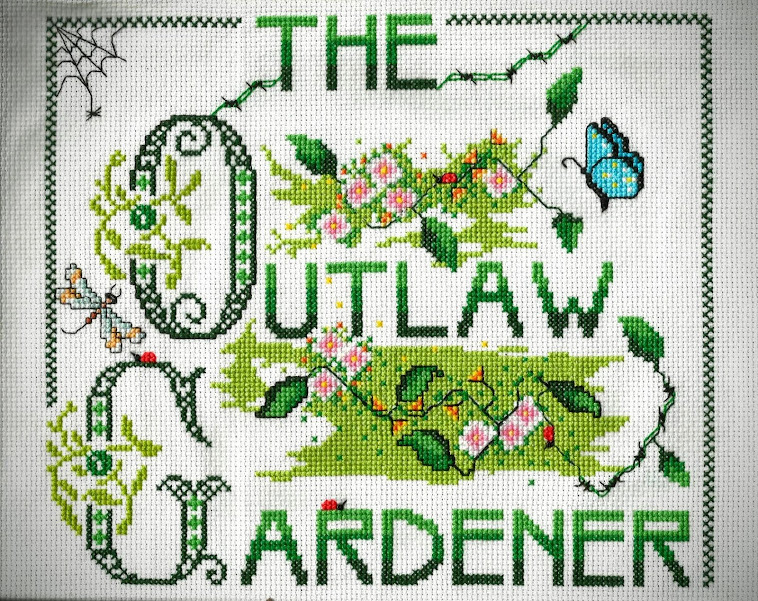 The Outlaw Gardener: Happy Thanksgiving! This Thanksgiving, I'm thankful for many things, including each of you who stops by every day or every once in a while. The table runner was made by a dear family friend who passed away a few years ago. The "Give Thanks" decoupage on wood message was made by my brother's eldest daughter and her girls a couple of years ago. I'm thankful for family, friends, and traditions that transcend years and miles. Whether you celebrate Thanksgiving today or not, may your life be full of blessings for which to be thankful. Happy Thanksgiving, and thank you for the sweet Thanksgiving message on your blog today! Happy Thanksgiving Peter! Hope you and Tom and your whole family have a wonderful day! Family keepsakes always seem extra special during the holidays. Happy Thanksgiving to you and yours, Peter! Thank you Peter. I have enjoyed the day with family and friends. I hope the same for you. Cheers. What a lovely table setting, made by hands of those you love and who love you. Hope your day was filled with lots of love, laughter, good food, making memories to be enjoyed later. Hope your day was a good one, Peter! Thank you, Peter. We had a lovely celebration of giving thanks here this afternoon. Sorry, one day too late! Anyway I wish you a happy belated Thanksgiving, Peter!